Those who have unfortunately gotten sunscreen in their eyes know firsthand how much it can hurt. In fact, someone who has experienced a severe case may compare it to mace or pepper spray. It can take hours until the victim can comfortably open his eyes, especially outside in the bright sun. Needless to say rubbing sunblock in your eyes can ruin a day at the beach in an instant. Although it is common that effects will remain for a while, it is important to treat it as soon as possible. The most effective way to treat the condition is immediately flushing the eye out with running water for a while. This should rinse the lotion out of the eye but it may not eliminate the irritation at once. While it won't help to remove the sunscreen, applying cool, wet cloths to the eyes may cause some relief. Using eye drops such as ClearEyes may be useful in rinsing out the eye, but they will cause burning. Even once the eyes have been rinsed, it is normal for vision to be somewhat blurry. If pain continues after a significant amount of time see your optometrist. Never spray sunscreen straight on the face. Apply first to the hands and rub into the face. Don't allow small kids to put on sunblock alone. Never leave sunscreen where children can reach it and use the lock mechanism when not in use. 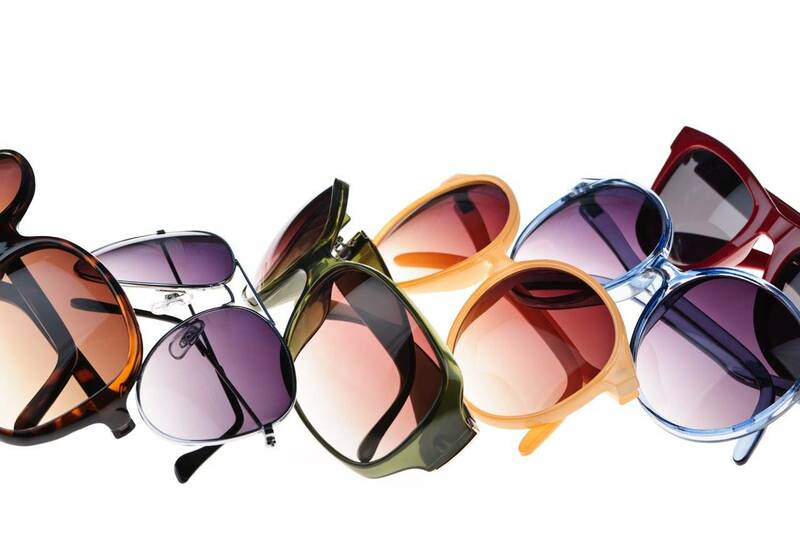 Use sunglasses to guard the eyes and the areas around them from UV rays.